Daisuke Miura is turning back the clock in Yokohama. Miura is on the wrong side of his 40th birthday — he’ll be 41 this Christmas — but has quietly been among the best pitchers in Japan over the last two months, after being one of the worst during the first half of the season. Miura dropped his first four decisions of the season as he allowed 17 runs in 28 innings. Now, after a few stints on the farm team, he’s turned things around. Miura has won each of his four starts since July 13, a stretch that includes a 131-pitch, nine strikeout gem against the Yomiuri Giants on Aug. 7, his first complete-game victory of the season. Miura allowed three runs — two earned — over 29 innings during those four starts. He threw seven scoreless innings and struck out five to lead the BayStars to a win over the Chunichi Dragons in his most recent outing on Aug. 14. 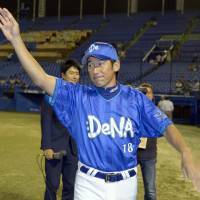 He became the first BayStars pitcher aged 40 or over to win four straight games since Kimiyasu Kudo in 2007 with that victory. It’s easy to root for Miura. He slides effortlessly into the role of grizzled veteran trying to hold back the passage of time and the ravages of age for just a little while longer. It’s a familiar trope, one that in the right circumstances eventually plays out in books and across theater screens years after said veteran has left the field for the final time. Miura also adds a swashbuckling air to the motif. He exudes cool on the mound. He does so off it as well, most famously when he goes through untold mountains of product to tease his hair in the regent style he’s worn for decades. On the front page of his website, Miura looks like something out of a street-gang manga, wearing a black leather jacket over a black shirt, hair in full coif and his face twisted into slight scowl. His nickname, Hama no Bancho (or “Boss of Yokohama”), is sort of a play on this, as bancho is usually used to refer to the leader of a group of high school delinquents. Even so, there’s also an unfailingly endearing everyman quality to Miura. He’s in his 23rd season and has gone through a lot, good and bad, in a Yokohama uniform. He’s showing a few signs of age now — a few more wrinkles on his face and a little less life on his fastball — yet soldiers onward. Miura is Yokohama baseball at this point. He’s the successor to famed former closer Kazuhiro Sasaki in this way, assuming the mantle of beloved BayStars talisman. 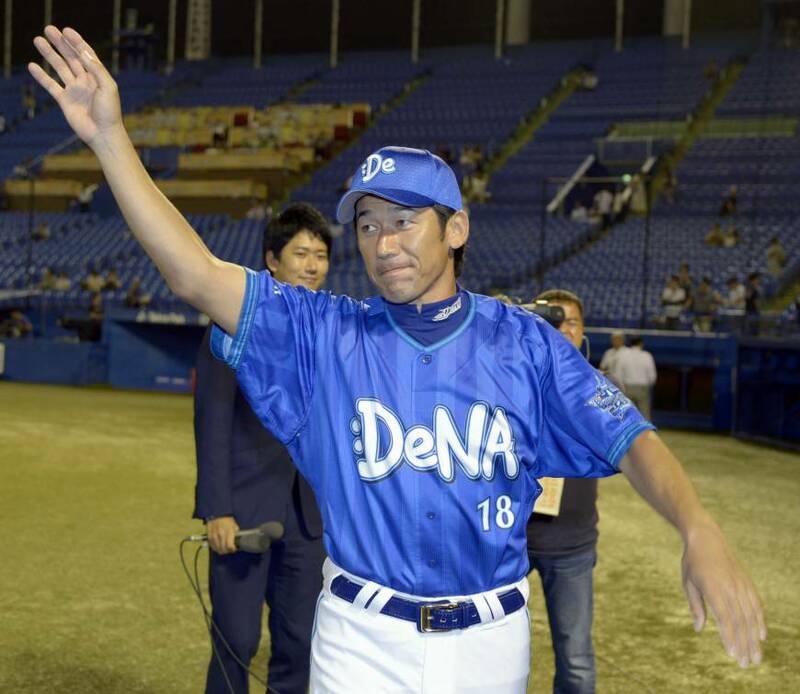 He’s been around long enough to have both suited up for the franchise when it was still known as the Taihyo Whales — a dwindling fraternity of active players that also includes Motonobu Tanishige, now the Dragons’ player-manager, and Tohoku Rakuten Golden Eagles reliever Takashi Saito — and also to have won 12 games in 1998, when the BayStars last won the Japan Series. This is undoubtedly the stretch run of Miura’s career, even if he ends up emulating hurlers like Kudo or Masahiro Yamamoto and pitches deep into his 40s. The BayStars are on the fringe of the race for the final spot in the Central League Climax Series, and Yokohama hasn’t played in the postseason since the format was adopted in the CL in 2007. A blast from the past from Miura, the team’s once and now again ace, could help get the BayStars over the hump. Miura is pitching well at 40, and while time won’t stop for him, he’s clearly showing it hasn’t run out on him either.